Kaspar Kubli Building | Historic Jacksonville, Inc.
Adjoining Jacksonville’s Red Men’s Hall at the southwest corner of California and 3rd streets, and probably constructed by brick mason George Holt at the same time in 1884, is the almost identical Kaspar Kubli Building. 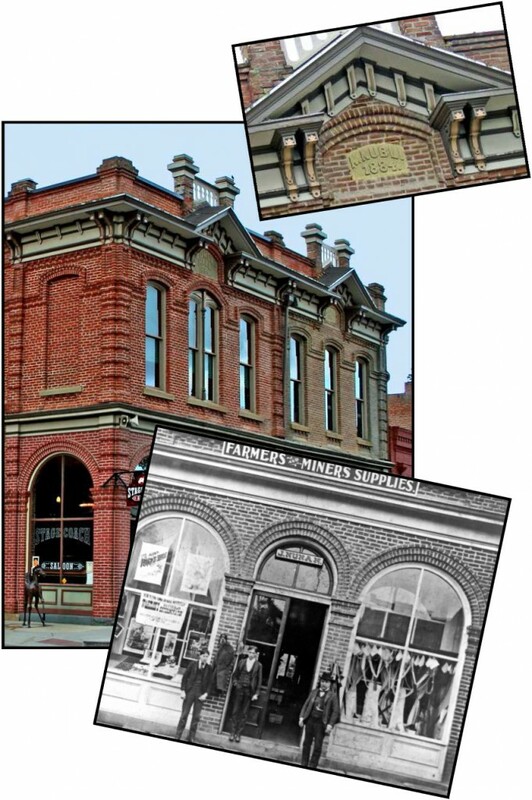 The ground floor rear housed Kubli’s tin shop while the front was occupied by Jeremiah Nunan’s Farmers and Miners Supplies through the turn of the century. The site had originally hosted the first court ever convened in Jacksonville.